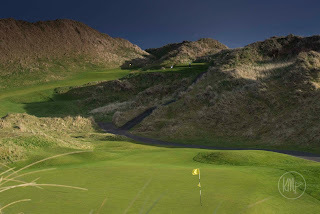 there’s a strip of Northern Ireland simply buzzing with anticipation, there’s a prize fund of $7 million (that’s up 60% on 2016) thanks to the European Tour’s Rolex Series, and there is bound to be a list of top tier players as the Irish Open has moved its time slot to start a dramatic ‘links swing’ which culminates with the Open Championship, two weeks later. Justin Rose will be just the first of many to confirm his attendance. CAPTION: The children of St Ita’s Primary School in Belfast, pictured with Brian McIlroy of the Rory Foundation, Antonia Beggs from the European Tour and Dubai Duty Free Golf Ambassador Des Smyth. A family pass with VIP Tour at the tournament on the Pro-Am day Wednesday, July 5. 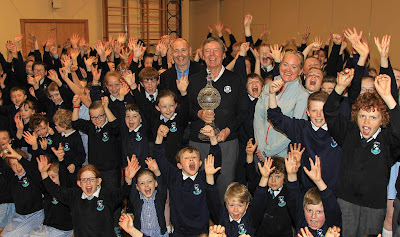 A visit to the winning child’s school from the prestigious Dubai Duty Free Irish Open Trophy and a Q&A session with the European Tour, Rory Foundation and an insight into the life of a professional golfer from Dubai Duty Free golf ambassador, Des Smyth. How do you go about winning this prize? Alternatively, parents and teachers can tweet videos and photos to @ddfirishopen or post on the Dubai Duty Free Irish Open Facebook page with the hashtags #ddfirishopen and #roarforrory. Closing date for entries is Wednesday June 7 with the prize to be taken by June 23 or before the end of term. 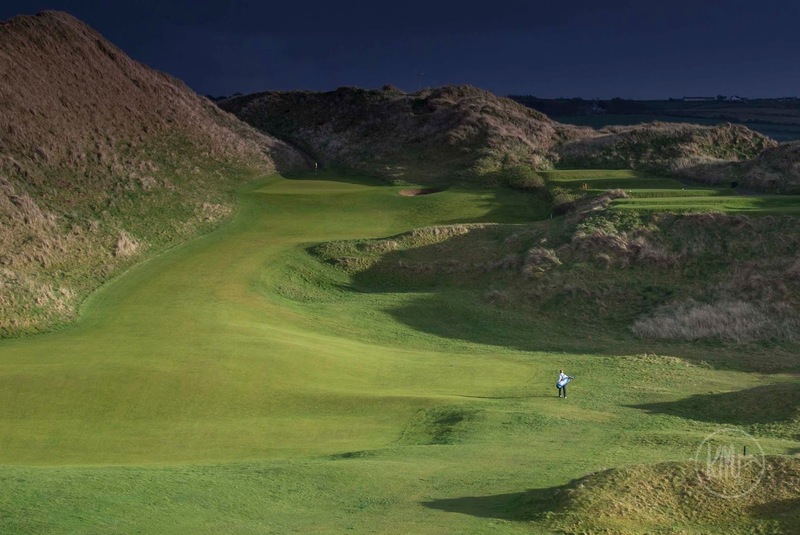 The European Tour’s Dubai Duty Free Irish Open Championship Director Simon Alliss said: “We’re thrilled to launch this fun competition for children. We can’t wait to see them ‘Roar for Rory’ and show their support for defending champion Rory McIlroy and the Dubai Duty Free Irish Open tournament that he has hosted so successfully for the past three years. “It is such a great way for kids to get involved with such a huge and important sporting event in the island of Ireland’s sporting calendar which attracts so many high-profile professional golfers and worldwide interest,” he added. 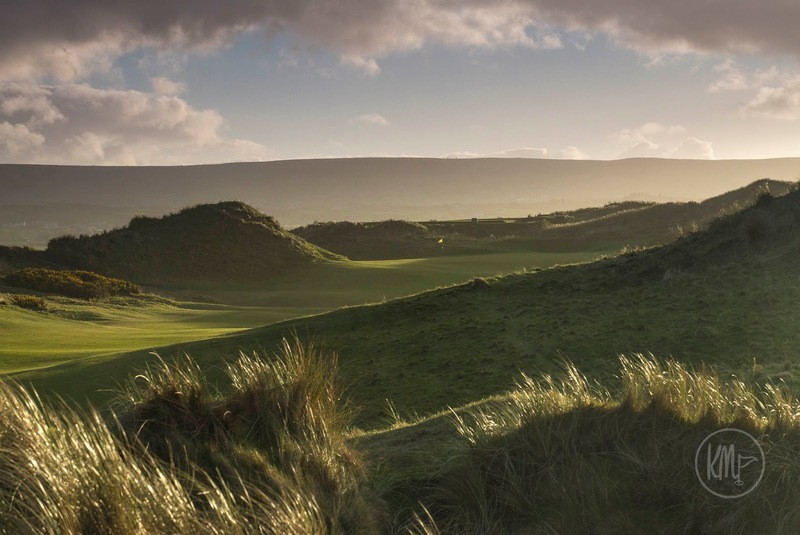 The 4th hole at Portstewart - home to the 2017 DDF Irish Open. 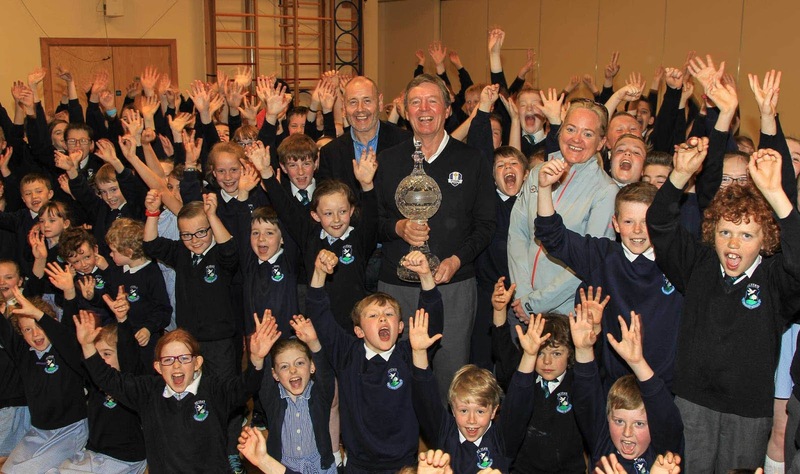 Brian McIlroy of the Rory Foundation said: “Our annual children’s competition is such an important part of the Dubai Duty Free Irish Open and something that Rory himself is very passionate about as it encourages kids to become involved in golf or even to take the sport up at a young age. “What is so fantastic this year is that children now have an opportunity to show us – and Rory - how much they are supporting this year’s tournament in the form of a video or photo. We’re all looking forward to seeing the enthusiasm and passion that school children from both the North and South of Ireland have for Rory and the Dubai Duty Free Irish Open,” added Brian. A portion of all tickets sales this year will go towards the Rory Foundation which was established by McIlroy in 2013 to help children live better lives by raising funds and offering support to children’s charities around the world. The tournament enables the Rory Foundation to build a platform for positive change reaching into the community and developing innovative initiatives to help children and young people in most need. Sport Changes Life are the primary beneficiary of this year’s tournament. For more information on the 2017 Dubai Duty Free Irish Open hosted by the Rory Foundation or to purchase tickets, click on www.dubaidutyfreeirishopen.com.